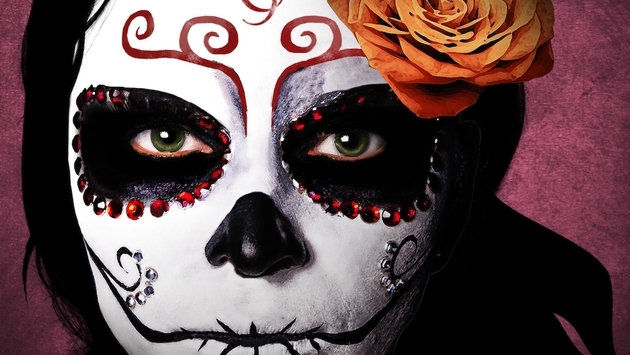 The first days of November will shine bright with twinkling candlelight and brilliant costumes as Sandos Caracol Eco Experience Resort celebrates the fascinating Day of the Dead holiday. Through a variety of traditional activities spanning over 48 festive hours from Nov. 1 -2, guests will discover how Mexico honors the Celebration of Life and Death. During this special time of the year, the Sandos Caracol location takes pride in highlighting the rich traditions of this Mexican holiday through a series of demonstrative and interactive events that directly tie into the cultural experience. The staff, or “Sandistas”, of Sandos Caracol will guide guests on a walkthrough of the resort highlighting each of the following Day of the Dead activities. The most important element of this celebration, the Day of the Dead Altars, will be created by the Sandistas and be displayed throughout the resort. Guests will then experience the vibrant colors of a traditional Mexican cemetery and feel the positive energy expressed in honor of the dead. Customary music, food and prayers are offered as candles are lit to illuminate the way for the souls of the deceased. At nightfall, guests will gather around the Cenote Cristalino for a candle tribute where the symbol of death will appear to be prowling in the glow of small candles glistening in the water. The breathtaking Catrina, as the center piece of Sandos’ Catrina Parade, will come out for a stroll around the property to show off her colorful and dazzling personality all set to the rhythm of drums. A photo exhibit will follow, offering guests the opportunity to pose and take photos with this breathtaking character, Mexico’s most intriguing representation of death. During the Calaverita (Mexican Trick-or-Treat), the children of the Kids’ Club will march through the resort, greeting guests and asking them for coins or treats followed by an exchange of Calaveritas poems. This tradition of sharing mock obituaries has become part of Mexican folklore as a dedication to friends and family in a fun and satirical manner. The Night Legends Tour will share the best local legends about culture and ancient beliefs that still exist today in Riviera Maya. Through two alluring performances, The Legend of “La Llorona” reveals what drove “La Llorona” to live in eternal tragedy while The Legend of Xtabay details how the beautiful Xtabay created fear among the Mexican men with her charm and unexpected surprises. In the final Fire Show ceremony, the Shaman, surrounded by the intense heat of the flames, gives thanks for the sacred elements of Water, Sun, Wind, Earth and Life. As the villagers dance to the beating drums, the entire Xcalacoco community unites in a prayer for harmony and participants will promise to continue feeding the Fire of Life. The resort is currently offering a “Celebration of Life and Death” promotion with rooms up to 45 percent off. Beginning Oct. 26, rates for double occupancy start at $162 per night and are subject to change depending on dates and availability. For more information on Sandos Caracol Eco Experience Resort, please visit www.sandos.com.